Tim woke up to what seemed to be a typical day. The sun was shining, he got out of bed and went downstairs for breakfast. Tim is not a morning person and does not usually speak at all until he was fully awake, which is around 3rd period. He had made it to PE that day without even a single utterance and when he turned the corner into the gym he was startled by walking almost right into the coach standing in the doorway. He was easily speechless having not said a word yet that day and the coach in his coach voice said "You dressing out today Watkins?". 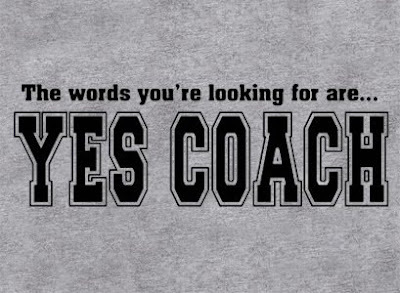 Tim remained silent until glancing at the coach's shirt he realized he had found the words. Coach Hamm felt like a proud parent witnessing his child's first words. Not far off.